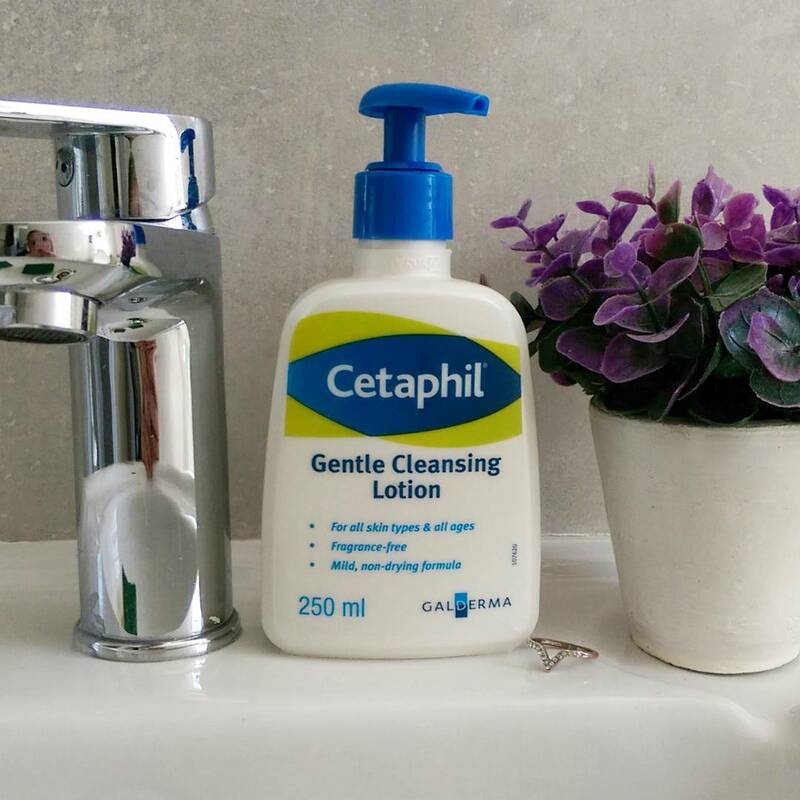 I’ve been using and enjoying Cetaphil’s face wash for oily skin but recently ran out so I switched to another li’l borrel the brand gave me and that’s their iconic Gentle Cleansing lotion (R106, Clicks*). Created by a chemist back in the day, Cetaphil’s soap-free cleanser’s formula is still exactly the same as it was in 1947. A regte case of ‘hey, if it ain’t broke, you don’t have to fix it.’ As it is, a bottle is sold every minute in 82 countries across the globe. One more thing I’d like to mention… the other day someone told me they wouldn’t want to use Cetaphil’s cleanser due to its alcohol content. If you’re a regular reader you’ll know I don’t love alcohol in skincare as it’s drying and can cause cell death over time. (Get googling to inform yourself girls.) Thing is, Cetaphil doesn’t contain any alcohol. She’d spotted ‘cetyl alcohol’ on the ingredients list and that’s a different thing entirely – a fatty alcohol – that’s usually derived from palm oil. It’s perfectly safe and included in about a zillion cosmetic products you already own and has the total opposite effect of alcohol in that it’s a lovely hydrator. In fact, it’s one of the main reasons why Cetaphil leaves your face feeling supple as opposed to dry. So, next time you spot ‘cetyl acohol’ on any ingredients list please don’t stress about it. It’s a goodie. Alcohol, however, often listed as ‘alcohol denat.’ isn’t great if it’s sitting right at the top. *Now is a good time to buy from Clicks as now, they’re not only R30 cheaper than Dis-Chem, but also running a promo until 13 Nov where, if you buy any 3 selected Cetaphil products, you’ll get the cheapest one free. Love that! Hey Leigh! Definitely going to get this cleanser as I have dry/sensitive skin. I discovered Paula’s Choice through you but I see they almost have no stock on their sites. Also they are stupidly expensive. I literally will never be able to afford a whole set of products for my skin. Can you maybe suggest any other cheaper products that will do just as great job as Paula’s Choice. I need to get day cream, night cream, serum, Hyaluronic acid for dehydration. Jis, your insights will be super helpful. BTW love your lovely purple flowers in the shot. Hi hun! I no longer recommend full regimes to anyone and I don’t know your skin type or concerns. But if you’re worried about ageing you’ll need a retinol serum and sunscreen. I’ve reviewed lots of retinol serums in the past so you can google my ‘lipgloss is my life’ and ‘retinol’ to find one that’ll suit your price point. Hyaluronic acid serums are great if you’re very dry and can be worn day or night underneath any moisturiser. Environ make a nice one (Focus Hydrating serum) and I think it’s around R600. L’Oreal’s Revitalift Filler Renew serum also contains HA and is only R300 but doesn’t have it in a high concentration. Again, HA might not be something you really even need if your moisturiser is doing the job. So like I said, it’s hard for me to recommend things. My suggestion is that you read up on the best ingredients to tackle your needs and then find them in products that contain them in the best concentrations you can afford. Ag thanks for this, Leigh. It surely does help a motherload. Skincare can be so confusing at the best of times and the only thing I don’t want to have to do, is pay a stupidly expensive price for something which basically is pulling the wool over my eyes and not really having any effect. And I can’t just work for skincare products…le sigh. I always learn interesting, valuable info from your posts, so thanks for that as well. Thanks for your reply. Have a splendid day!